The Indonesian delegate was led by Dr Ben Perkasa Drajat, Head of Center for Policy Analysis and Development on American and European Regions of The Policy Analysis and Development Agency of MoFA. How do Australia and Indonesia see the importance of regional alliances in today’s world, characterised by instability and uncertainties? How should we confront and manage the fluid international relations and tensions across the globe in this new century beyond the considerations of short-term political and economic gains? 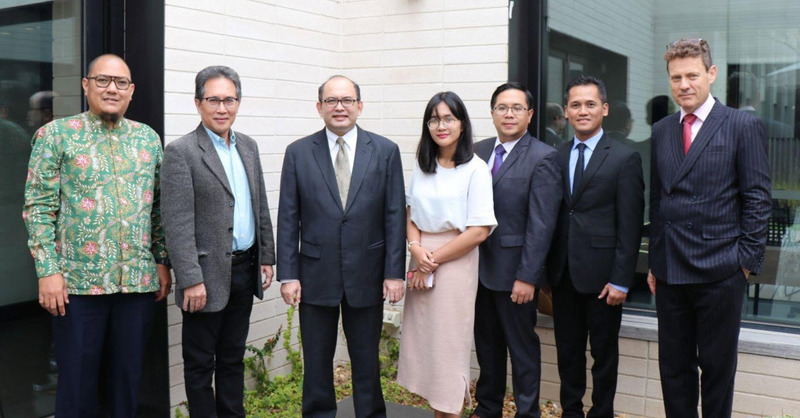 These are the main topics under discussion when a delegate from the Ministry of Foreign Affairs, The Republic of Indonesia visited Monash Herb Feith Indonesian Engagement Centre on Thursday, 21st March 2019. The Indonesian delegate was led by Dr Ben Perkasa Drajat, Head of Center for Policy Analysis and Development on American and European Regions of The Policy Analysis and Development Agency of MoFA. Members of his delegate include Mr Arsy Dwinugra Firdausy (Deputy Head of Center for American Affairs), Mr I Made Oka Wardhana (Vice Deputy Head of Center for Latin America Affairs) and Ms. Arshie Ramadhani (Staff/Junior Diplomat). Mr Prima Sastrawiria, Vice-Consul, Consulate General of the Republic of Indonesia (Victoria) escorted them to Monash University, Clayton campus. Professor Andrew MacIntyre, Senior Pro Vice-Chancellor (South East Asia Partnerships) from Monash accompanied Professor Ariel Heryanto, Director, Monash Herb Feith Indonesian Engagement Centre in hosting them. Authorised by: Chief Marketing Officer, Strategic Marketing and Communications. Maintained by: Arts Web Team. Last updated: Mar 2019.